The core network has always been one of the front lines in the evolution of cellular wireless technologies. Every generation has brought us a dizzying array of new acronyms in this space. In 2G there were Mobile Switching Centers (MSC), Home Location Registers (HLR) and Visitor Location Registers (VLR). 3G introduced the IP Multimedia System (IMS) and 4G brought the Mobility Management Entity (MME) and Packet Data Gateways (PGW). This parade of apparently physically independent functionality hides a trend of increasing softwarization that has been accelerating since 2G. In 5G, this softwarization trend will very likely reach a nexus blurring any remaining lines between hardware and software. Some folks are saying that the core network will disappear into the cloud in 5G. From a certain perspective, I don’t disagree with them. 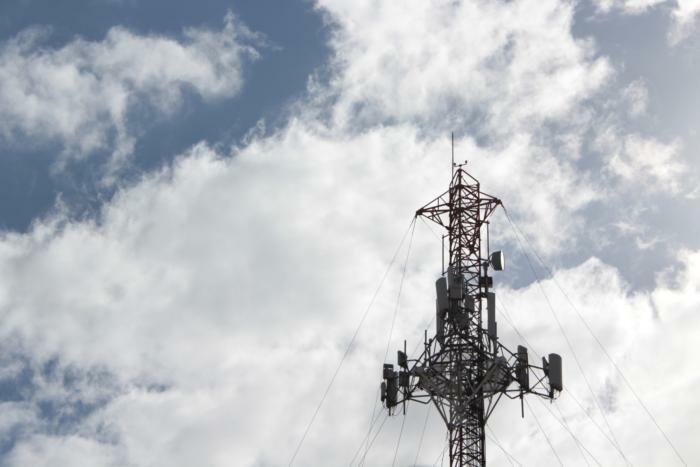 However, from a broader perspective, it still remains a rich and essential area of innovation that will define a continuing key element of the future of wireless. What is the core network, anyway? The purpose of the core network has evolved considerably through the generations, but fundamentally its primary function has remained the same - connect the radio access network to a third party network to make end-to-end connections possible. Before 3G, this third party network was, for all intents and purposes, the Public Switched Telephone Network (PSTN) and from 3G onward this has gradually transitioned to being singularly, the public internet. Mobile users, of course, have slightly different requirements than their fixed counterparts, not least of all that they tend to move around a bit. This complicates things, and much of the detailed functionality of the core network has been in managing these requirements. Generally, core network functionality has evolved along three planes: service management, session management and mobility management. Beyond basic voice services, service management for 2G and 3G was basically about recreating ISDN over a wireless connection. In addition to this, 2G introduced the first “killer app”, the Short Message Service (SMS). Ironically, this “service” was actually conceived as a solution for the more mundane task of delivering call waiting indications and only later evolved into the essential messaging experience we know it as today. What does the 4G core network look like today? What changes are in the pipeline for 5G? The biggest change in 5G is perhaps that services will actually be making a bit of a return. However, they will be nothing like we have seen them before. 5G will be no ISDN redux. Rather, the plan is now to deliver the whole Network as a Service. The approach to this being taken in 3GPP is to re-architect the whole core based on a service-oriented architecture approach. This entails breaking everything down into even more detailed functions and sub-functions. The MME is gone but not forgotten. Its former functionality has been redistributed into precise families of mobility and session management network functions. As such, registration, reachability, mobility management and connection management are all now new services offered by a new general network function dubbed Access and Mobility Management Function (AMF). Session establishment and session management, also formerly part of the MME, will now be new services offered by a new network function called the Session Management Function (SMF). Furthermore, packet routing and forwarding functions, currently performed by the SGW and PGW in 4G, will now be realized as services rendered through a new network function called the User Plane Function (UPF). 3GPP is well progressed on the Phase I of this new service based architecture system design (TS 23.501 and TS 23.502), and it is expected to be complete by December 2017. Phase I will include a basic system solution and basic network slicing capabilities. Many more advanced features and capabilities will follow in Phase II and beyond. Why is the core network disappearing? The whole point of this new architectural approach is to enable a flexible Network as a Service solution. By standardizing a modularized set of services, this enables deployment on the fly in centralized, distributed or mixed configurations to enable target network configurations for different users. This very act of dynamically chaining together different services is what lies at the very heart of creating the magical network slices that will be so important in 5G to satisfy the diverse user demands expected. The bottom line in all this is that the emphasis is now entirely on software. The physical boxes where these software services are instantiated could be in the cloud or on any targeted COTS hardware in the system. It is this intangibility of physicality that is behind the notion that the core network might disappear in 5G. In earlier generations it was easy to walk into a carrier switching center and physically point to a MSC or an HLR. However, even then it was all mostly about software too. It was not uncommon for vendors to build their MSC on the exact same hardware platforms as their HLR. Further, it was commonplace in every vendor implementation to collocate VLR and MSC functionality in the same product offering. From this perspective then, the core network has been disappearing slowly for decades, so no need to worry about it. I can promise you that all the functions will still be there but you may just need to look a bit harder for them in 5G.